The following impressions of FB7’s theatrical run come courtesy of SpeakerPODcast regular Renato, Gubabablog‘s Richard, and myself. 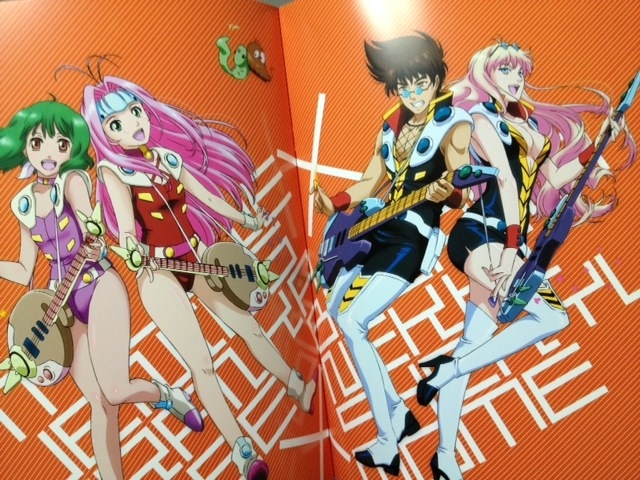 So… A week and a half has passed since the latest theatrical Macross release. Why is there no write-up yet? Well, there are probably a multitude of reasons. Number one being, unfortunately, that this movie is barely a movie at all. However, that doesn’t mean that we should deny it any presence here, nor that we ignored its release. Read on for the full lowdown on this… thing, in spoilerific detail! You have been warned! First, let me give my brief impressions of the “movie”: In a word, odd. 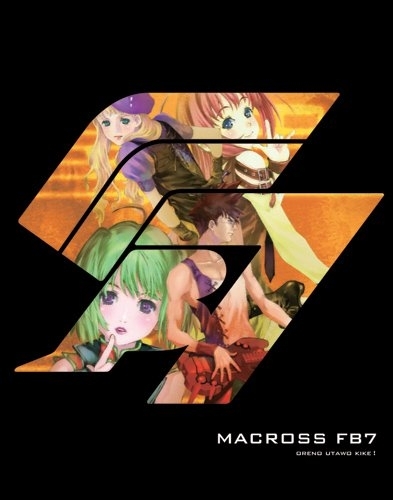 Macross FB7 is a compilation movie of the entire Macross 7 TV series, shoehorned into a 90-minute runtime, framed with the hook that the cast of Macross Frontier are receiving VHS tapes with Macross 7 clips recorded on them and are watching them. I suppose, as many have, it is supposed to be a cheap cash-in to advertise the Blu-ray releases of M7. While the old footage looks good, it doesn’t look THAT good — it is still 16mm blown up, and stretched from 4:3 ratio to 16:9, and the outer edges of that stretch showed visible blurring and bleeding in every instance. I wonder if this really was the best way to advertise the product. During the movie itself, at some points, you couldn’t even tell what you were watching. Were we watching Ozma and Bobby sit down as they in turn watched the actual Macross 7 TV series, or were we supposed to consider it archival footage? At others, the way scenes were edited seemed to have been completely left up to amateurs with Windows Movie Maker — I have literally seen better edits and montages on Youtube. Why is Mylene’s slow, haunting ballad Pillow Dream playing as BGM while Basara shoves his enormous Speaker Pod Gamma into Gepelnitch’s flagship? Why is My Soul for You playing while Gigil dies, and his own singing not in sync with the song? Why VHS? Why was Michael, Mylene’s bodyguard not in this movie? In fact, was Gamlin even in the movie? Did Gigil have more lines than Mylene? I certainly do not recommend this “movie” to anyone, fan or non-fan. It should have been a one-off TV special and considered a small novelty. That said — there are saving graces. For one, the music was LOUD. I had been to watch the new Led Zeppelin movie Celebration Day the previous week and although it was excellent in pretty much every respect (and may even have had a more cohesive plot, i.e. four guys get up on stage and rock out — no “to be continued” signs flashing randomly), I did find the volume ever so slightly lacking for the power one would expect from such a band. Well, if you love Fire Bomber music, this really is a good way to experience the most recognized of their classic tunes. The sound was just great, and of course, you can’t help but root for Basara to “move that mountain” at the end. But that’s really it. All in all, although I knew what I was getting into going in, I thought it was a missed opportunity (as I had done back even before release) that there was no new M7 footage. It’s not like SDF where many of the actors are gone or retired. We know that Nobutoshi Kanna and Tomo Sakurai, and Sho Hayami recorded new lines for the upcoming PS3 game. I’ve been asked by fellow fans whether or not THIS WAS IT. Was FB7 THE thing, THE MAIN thing to come out of the 30th anniversary? THE thing to expand on the universe and give us something new. It isn’t. That honor goes to the MUSICALTURE (speaking of which, has anyone else noticed how the preview clip and all song samples from the MUSICALTURE have been removed from the website/youtube recently?). 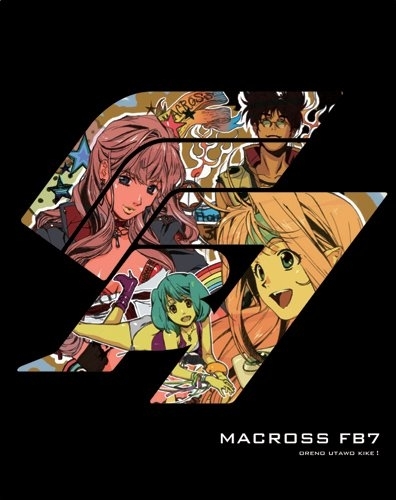 FB7 is a fun trip down nostalgia lane if you are a fan of Macross 7. For those who aren’t familiar with Macross 7 I cant really say I recommend this movie. I had fun watching it but to anyone who doesn’t know their Macross 7 it would most likely be very confusing. And that’s because, as I predicted, FB7 is essentially a clip movie. That’s right, FB7 is a 90minute commercial for the upcoming Macross 7 Bluray boxsets, except that if you watch it then you don’t really need to see the series so it fails even at that role. The payoff at the end of it is brief and not really worth it if that’s all you are watching for. As a fan of M7, seeing the remastered footage on the big screen was fun. Heck, I’ll probably even see it again. But all the hints dropped in the trailer amount to pretty much nothing, including the exact same Valkyrie fakeout that the commercial for the Wings of Farewell pulled. 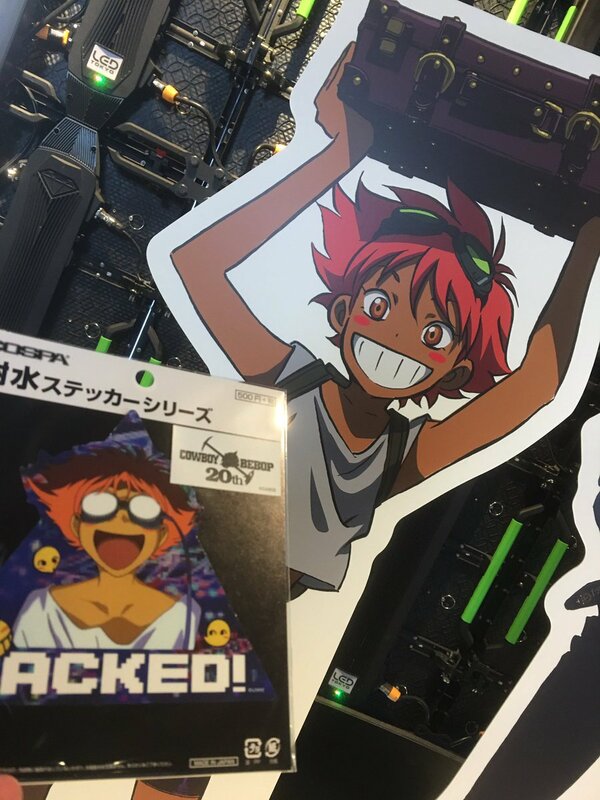 Bobby takes Ozuma to a geeky tech shop in Akiba Deep to find a VHS player (shades of Cowboy Bebop?). The tech crew who come to set it up the following day is… Lucca. So, they set everything up, switch it on and voila!….the tape is literally edited together recaps of M7 episodes. They even still have the ‘To be continued’ screen at the end of each tape. When the tape finishes, the protodevilin bird conveniently lands outside on the windowsill….with another tape. During each viewing session, the number of viewers increases. 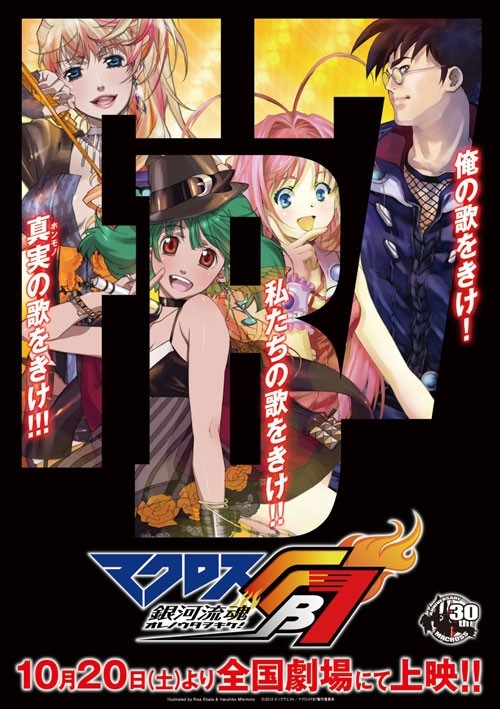 First its just Lucca but the Klan and Michelle turn up, as does Ranka and then Sheryl (her outfit gives some idea of where this interlude sits within the Frontier timeline). On her way to visit, Sheryl conveniently ran into a bird-thingy that gave her a tape…. Finally even Canaria turns up. Oh and one tape even contains the M7 eyecatch sequence. While the gang are watching, a few things come to light. 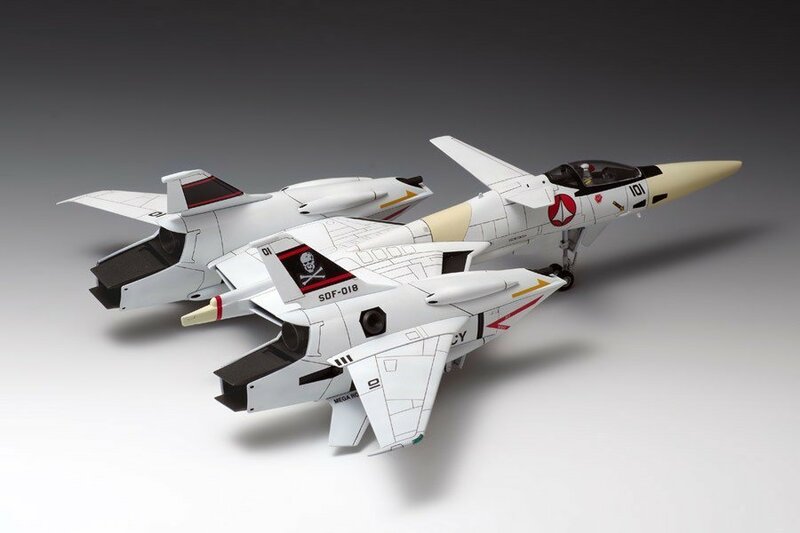 There is very little information on what happened to the Macross 7 or Firebomber. Almost no records of the fleet exist in the military database (which Lucca casually hacks into) although they do find some records regarding the protodevilin. All that is known is that there was an incident with the M7 fleet and that Basara/Firebomber went so far as to ‘cooperate with the military’ to help resolve the conflict. (Apparently the events of D7 are either unknown or a strictly kept military secret – which would explain why Ozuma never has Angel Voice playing in his car, but not why Sheryl/Ranka know Dynamite Explosion at the end of the film). As such, watching the M7 tapes reveals to Ozuma and co. for the first time the events that transpired in M7. Once they’ve finished watching everything, the protodevilin bird is shown transforming into Gavil, who gives a smile, and flies away. Sheryl, Ranka and co. break into song (FB medley) with no lead up or explanation. Part of this sequence includes the Valks which were hinted at in the trailer. The new FB song then plays during the credits. Ultimately, it felt like the director had been given the budget for a high quality animated music video and told ‘here, go use this to make a movie somehow.’ The result was 75-80mins of reused M7 footage, 10mins of new Frontier footage, and an awesome 5 minute music video at the end. And the music video didn’t even tie things together, nor was it really explained. It just happened. They could have released it as part of a limited edition album or even the single of Virgin Story and I would have been more than satisfied. For anyone who isn’t a fan of M7 though, the music video isnt worth siting through the 70~80minutes of 17y/o animated material that precedes it. Having said that, the M7 footage is remastered and reformatted – it looks as good as it ever will and was enjoyable enough on the big screen. But there is absolutely nothing new here regarding the cast of M7. FB7 is a clip movie attached to a music video. See it for the nostalgia or to play a drinking game (take a drink every time Anima Spiritua is said – I reckon you’ll last 30mins, tops), but for new material in the expanded Maross universe fans will need to look elsewhere. PREVIOUSLY, ON GUBABA’S MACROSS 30 ADVENTURE: Gubaba and co. went to Tokyo Dome City, got a lot of stamps, ate some bad food, and got a little tin button for their troubles. Part 1: Tokyo Dome City Stamp Rally REVENGE!! I finished work at 3:30 and walked down to Tokyo Dome. Renato was working in the area, too, so we met up there. I paid ¥500 to do the second stamp rally, which immediately got me the Sheryl clearfile, companion piece to the Ranka one from the first stamp rally. Since the six free stamps were all in the same location as last time, finding them was a piece of cake (compared to the trouble we had a few weeks ago). The stamps had changed, too. Last time, you may recall, the stamps were of Ash, Sakura, and Vigo (from the Musicalture) and Hikaru, Misa, and Minmay. This time the stamps were Basara, Mylene, and, er, “Guvava,” and Ishtar, Sharon, and Sara. After getting those stamps, Renato and I went to the “Silver Moon” café to get the “event” stamp (the one you have to pay for). Renato ordered a Pink Monsoon (some kind of soda with fruit in it) and I got a Sheryl-and-Alto spicy hot dog, which was pretty good. 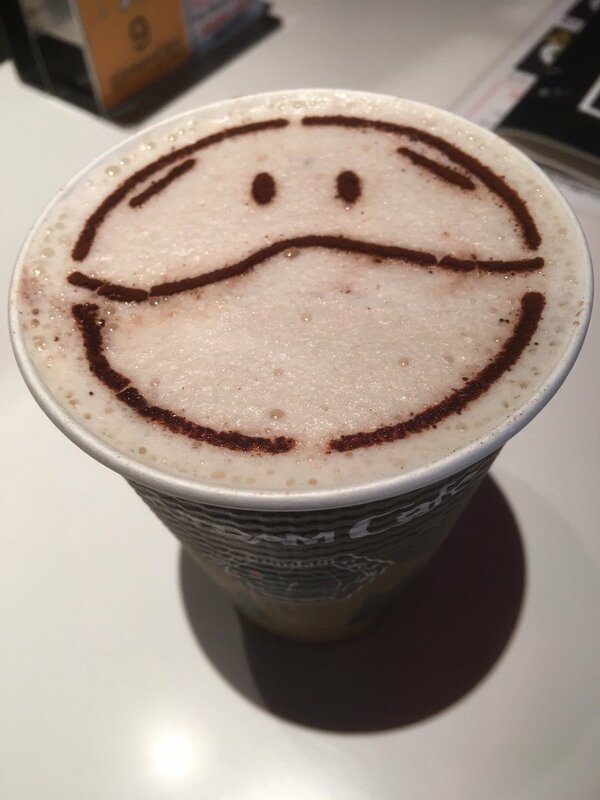 For this, we also got coasters. Due to a mix-up, I ended up with two coasters. Awesome. We met up with Adrian, and he gave Renato the full set of U.S. Renditions’ release of Orguss on VHS tape. He also did his very best to lower our rock-bottom expectations for FB7 even further, and succeeded quite handily. Then I turned in the stamp card, reached into the box to pull out a button… and got a VF-25 one… with a little piece of paper attached to it saying “B Prize.” Apparently, a few of the buttons had extra prizes you could win. In my case, I got five mini-posters for the 2009 Crossover Live. Again, awesome. Then we said our goodbyes to Save, and went off to Shinjuku to see the movie. Gwyn has already recapitulated the “plot” as it were, so I won’t bother. Let me just say that… y’know how sometimes, all your friends see a movie first, and they all say it was terrible? And then you end up going, expecting a godawful piece of trash, and you end up being pleasantly surprised…? Yeah, that didn’t happen here. I wasn’t, however, MORE disappointed than I expected, I hasten to add. My low, low expectations were met exactly by the movie. That said, the music was good, and it was kinda fun seeing Macross 7 on the big screen. I also grooved on the ending. Other than that, though? A waste of time. It would’ve made a good TV special, or DVD extra. The ending could’ve been released as a DVD packaged with the new single. But in a movie theatre, for full price tickets? Nuh-uh. BUT… there was ONE MASSIVE THING that made up for it (actually, two). As we were getting ready to go, a guy with poufy “rock” hair and a really nice brown leather bomber jacket scooted past us from the back row and nearly tripped over Renato’s bag of Orguss. He looked at Renato. Renato greeted him like an old friend, they shook hands, and then the guy zoomed off again. “Don’t you know who that was?” Renato asked me. “No,” I said, as one big suspicion came slamming into my head. Needless to say I scooted off as well, walking hurriedly (but, y’know, casually) out of the theatre, hoping to run into him again, but we didn’t see him as we went down the eight flights of escalators. But Renato’s eyes were already elsewhere, next to escalator, in front of the screen showing Yamato 2199 Chapter 3. There was an older guy standing there, with long, greying hair and a baseball cap. “I think that’s Yutaka Izubuchi,” Renato said. We approached him, and yes, indeed it was he. We introduced ourselves, but then his lady friend arrived, and they went into the movie theatre together. So yeah…the movie? Not so good. The experiences around the movie? Once again… awesome.